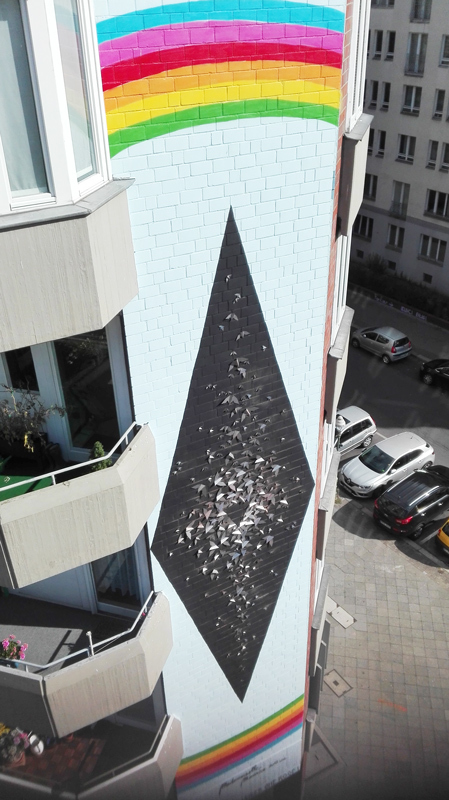 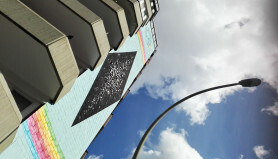 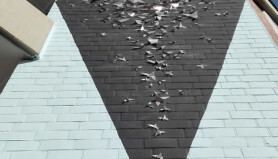 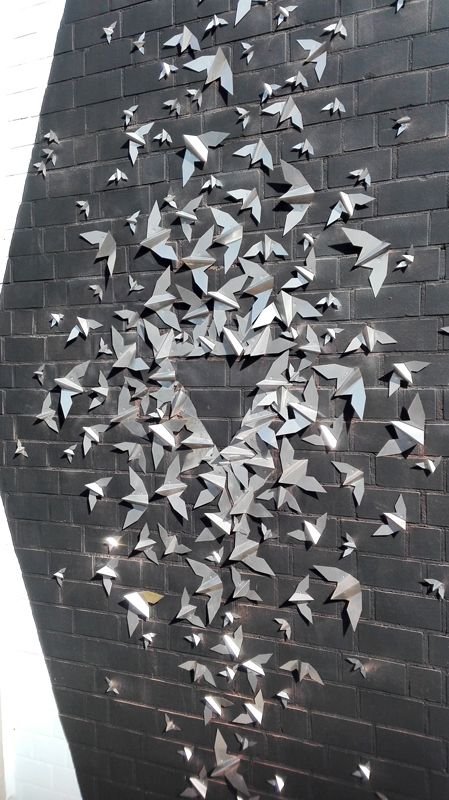 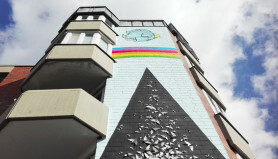 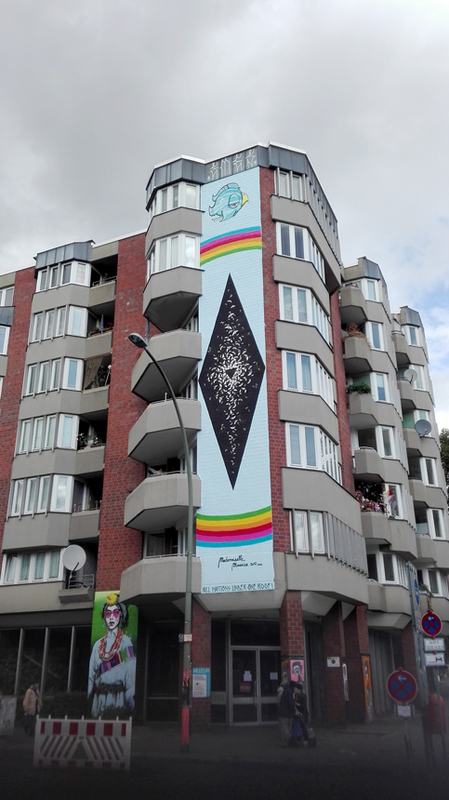 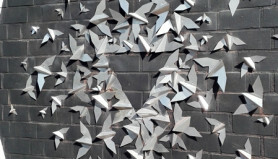 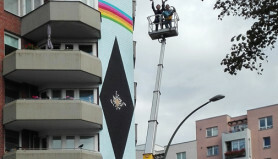 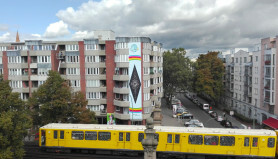 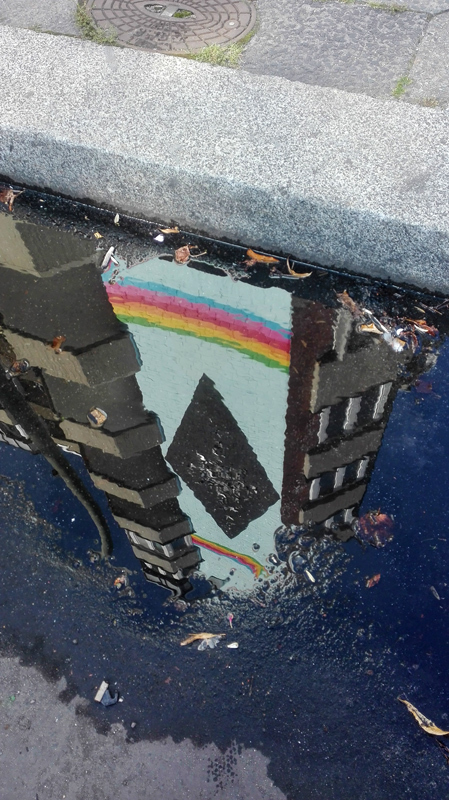 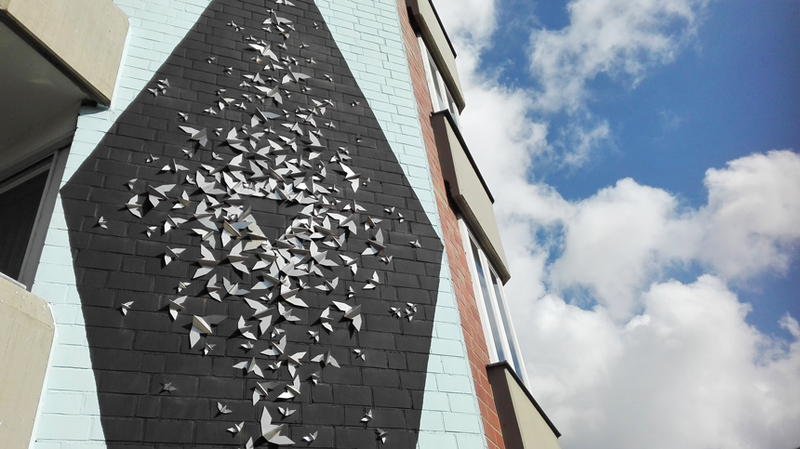 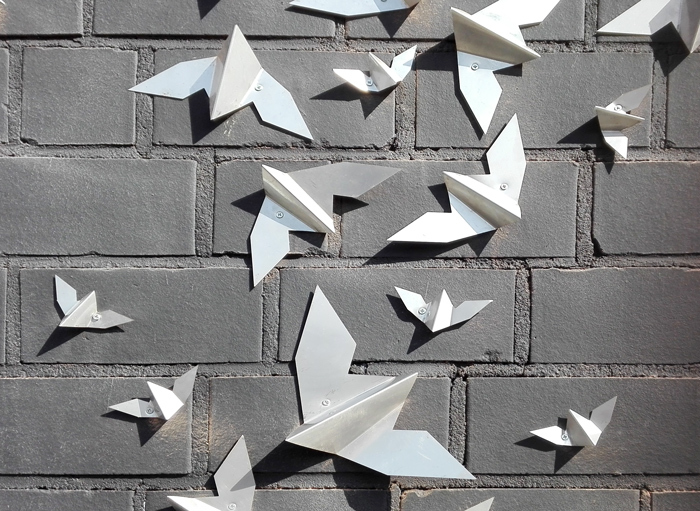 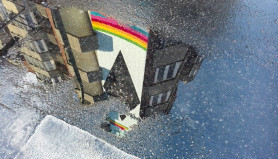 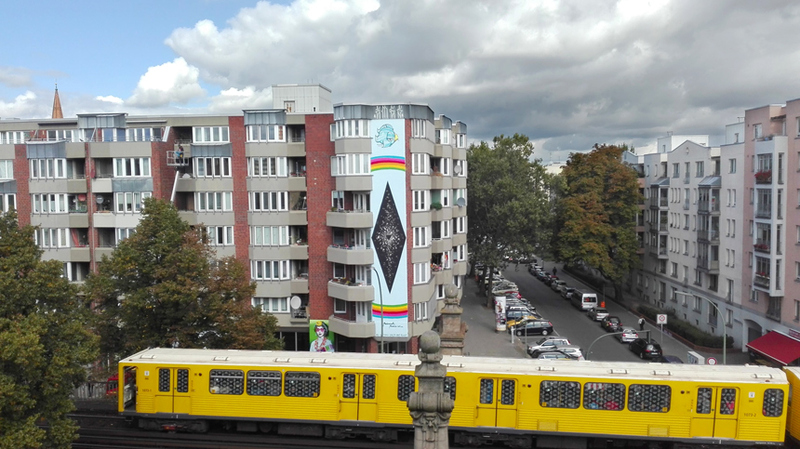 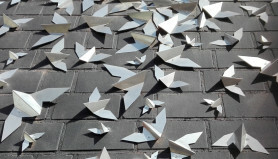 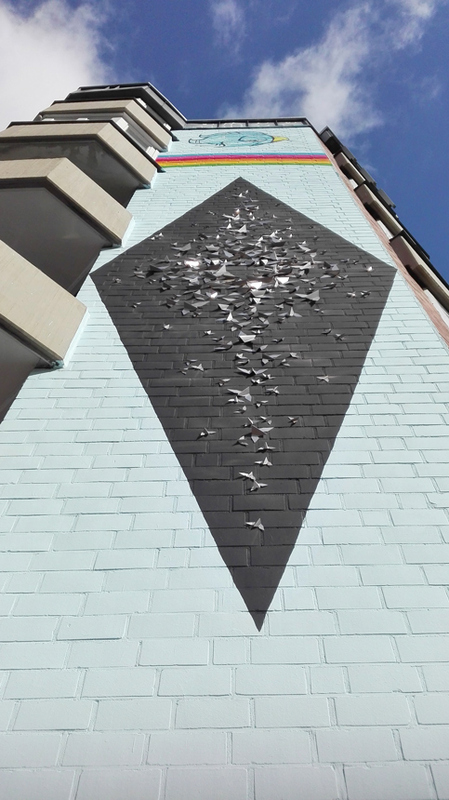 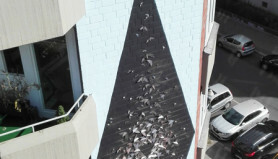 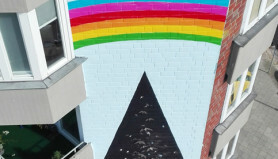 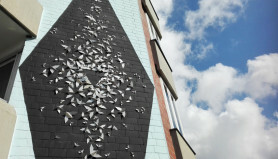 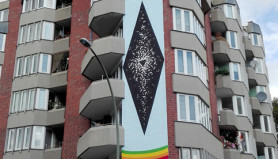 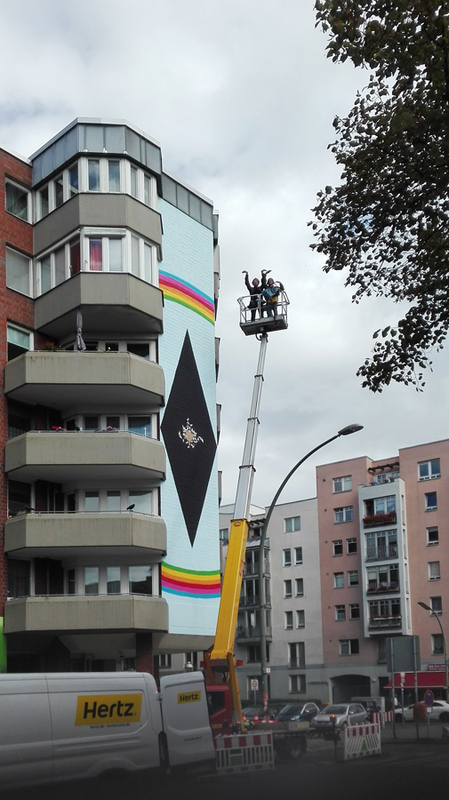 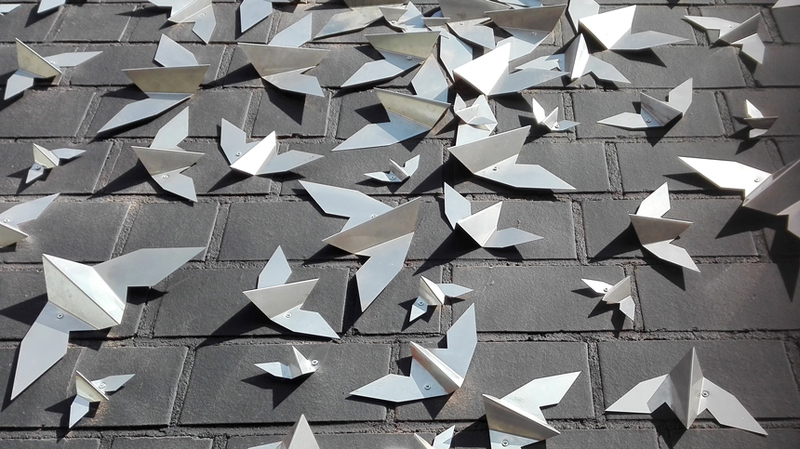 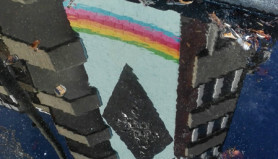 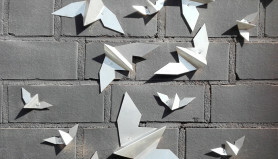 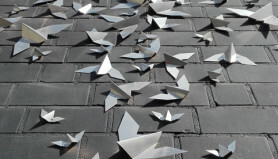 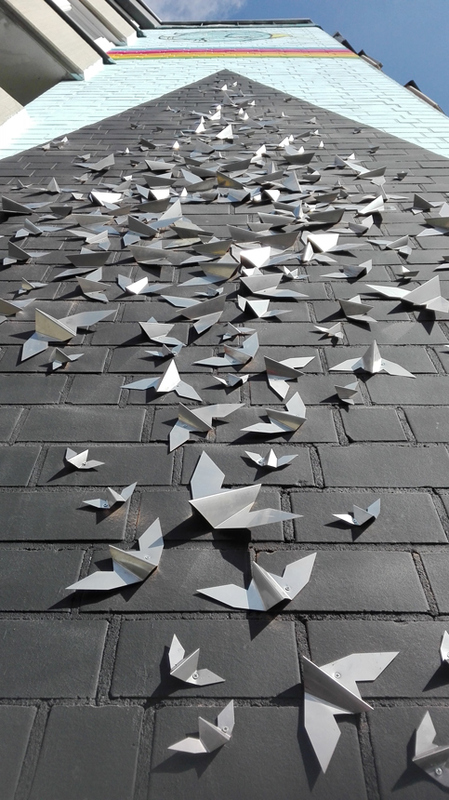 Realization of a “metal origami” mural, on the occasion of the opening of the URBAN NATION museum, dedicated to urban contemporary art in Berlin. 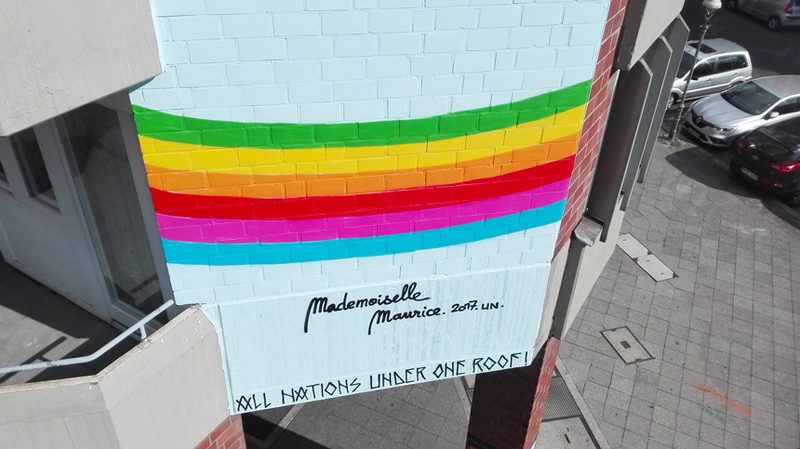 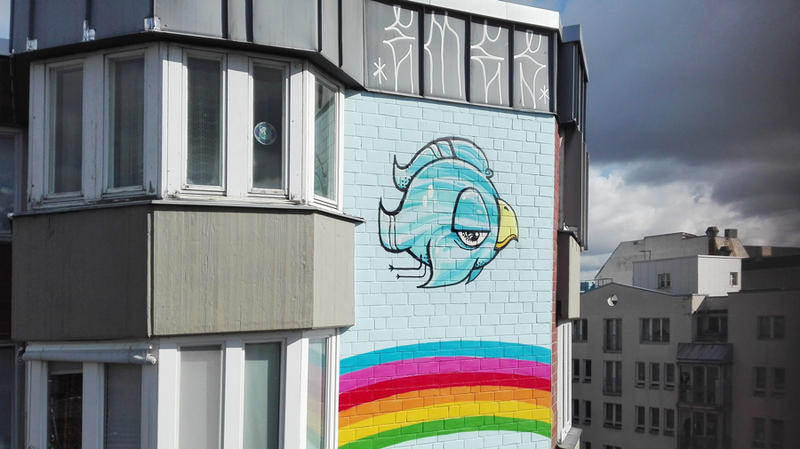 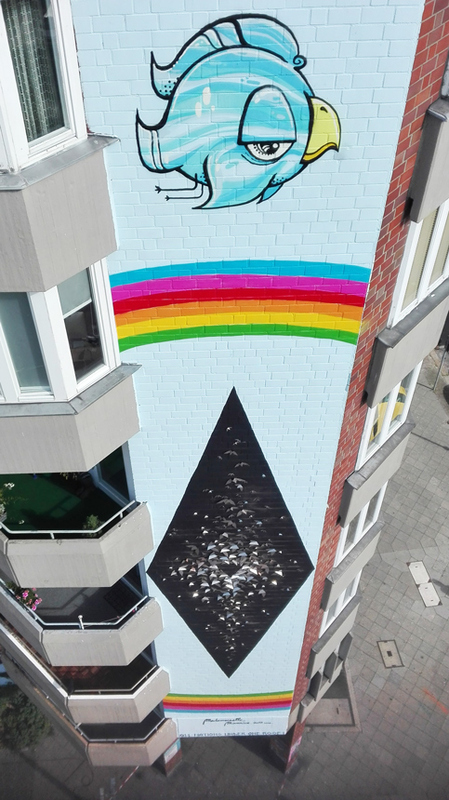 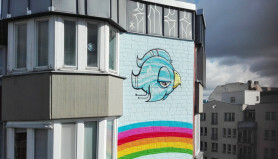 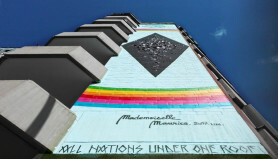 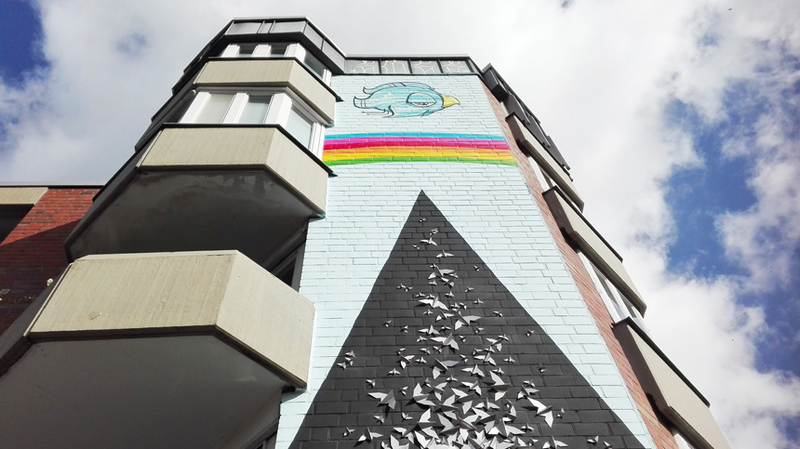 The artist has invited his partner Snez (with whom she forms the duo Emes Crew), to make a “Mougeon” and pixo writing at the top of the wall. Banksy, Shepard Fairey, Vhils, Icy and Sot, Marina Zumi, Jef Aérosol, Blek le Rat, Tilt, C215, Miss Van, JR, Seth Globepainter, Space invader, 1UP, etc. 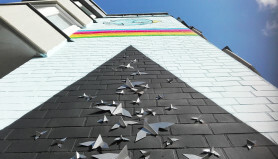 Thanks to Yasha Young, museum director for her invitation and welcome and big up to all the team of Urban Nation !